A man has been charged over the van attack near Finsbury Park mosque in which one person died and nine others were injured. Darren Osborne, 47, from Cardiff, was arrested by police at the scene in north London in the early hours of Monday. He has been remanded in custody to appear at Westminster Magistrates' Court in London. 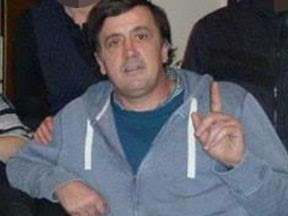 A Crown Prosecution Service (CPS)spokesman said: "Today, the CPS authorised the Metropolitan Police to charge Darren Osborne with terrorism related murder and attempted murder following the incident in Finsbury Park in the early hours of Monday 19 June." Makram Ali, 51, from Harringey, died from "multiple injuries" following the attack outside the mosque, a post-mortem examination revealed. The father of six and grandfather of two came to the UK from Bangladesh when he was 10 years old.